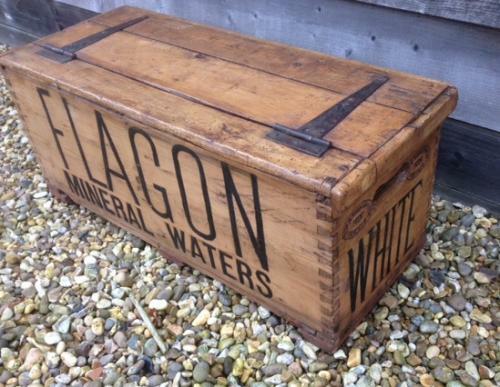 Antique Flagon Mineral Waters Advertising Box in good condition with impressed lettering to all sides. All corners are dovetailed, Original paint under old hinged lid. Marked WHITE on ends. Striking item that would look good as coffee table at side of sofa or as toy box in kids bedroom etc.